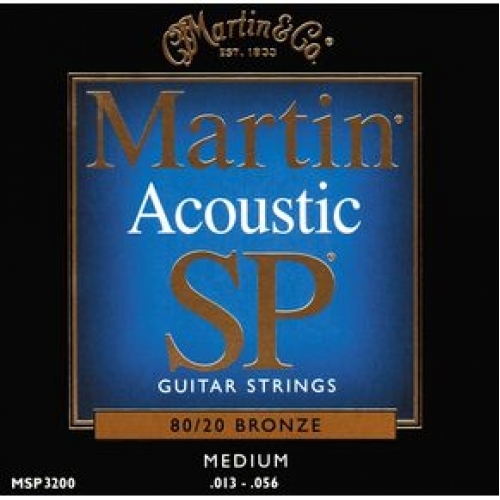 Martin MSP3200 SP Bronze Medium Acoustic Guitar Strings are made from an 80/20 composition alloy to give brilliance, clarity, and longevity of sound. Bronze winding is ideally suited for strings that have deep, rich basses and clear, bright trebles. Core and wrap wires must meet strict requirements. 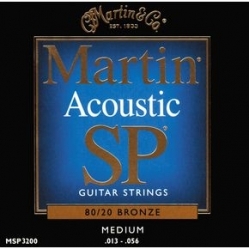 Martin SP acoustic guitar strings are wound to precise specifications.